The first thing to do is not panic! You can approach your medical residency interviews the same way you approached all of your USMLE exams, by careful, deliberate, and methodical preparation. At the same time your interaction during the interview and visit is one of the top three factors. As a physician, you have been trained for years to develop your interpersonal communication skills in the doctor-doctor and doctor-patient context so that you could better speak empathetically about “the other” with a sense of detachment. This method of communication helps you objectively discuss a patient’s condition and removes your sense of “self” from a diagnosis. In many ways, this is critical to your being able to discuss often difficult and emotional subjects, while imparting necessary clinical information. There are times, however, where interpersonal dialogue and presentation of “the self” is necessary, and learning to change between the two ways of communication isn’t simple or intuitive. This is to be expected. Appropriate, deliberate and focused medical interview coaching will help you present yourself and your mastery of the subject matter in a clear and concise manner. 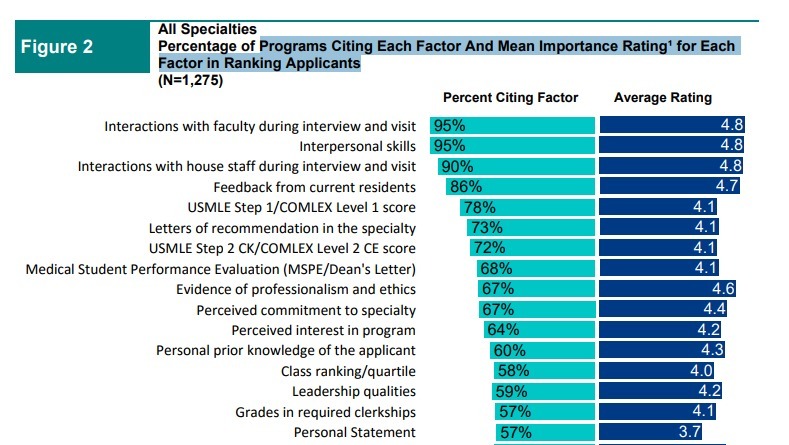 The medical residency interview is not the time to be clinical and detached. Speaking of yourself and your accomplishments this way will come across as cold, distant, and arrogant. Instead, your goal should be to talk about yourself and your accomplishments in a clear, concise manner while expressing your personality, warmth, and compassion. Our team of experienced interview coaches can help you prepare for your medical residency interview. To help you maximize your potential of making the best impression possible, IMGPrep offers a one-on-one medical residency interview coaching service. Our interview coaches have over 40 years of combined experience of helping to prepare Residency applicants for their medical interviews. IMGPrep’s Residency Interview Prep Course will take the guesswork and fear out of the interview process. Your personal coach will walk you through the entire procedure, and will help you understand the strategies and tactics you should employ. Your personal coach will assist you in preparing your own unique answers to the most difficult and frequently asked residency interview questions. Your coach will assist you in tailoring your answers to capitalize on your strengths and minimize any weaknesses in your application. This includes practising the best way to bring up and address any concerns or what you believe may be “red flags” in your application. They will also assist you in developing answers that will be different for different types of residency programs. Through mock interviews, you will have the opportunity to rehearse your individual answers and explanations, ensure that your answers avoid being generic, and highlight who you are as an applicant. Finally, your coach will walk you through some of the most common misconceptions interviewees have about questions they are asked and will show you how to avoid the most common mistakes residency interviewees often make.